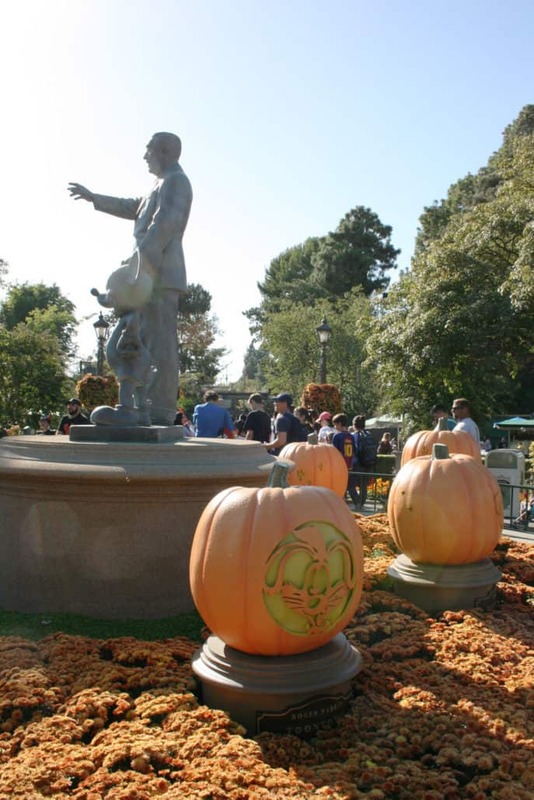 Have you ever been to Disneyland during the fall season? 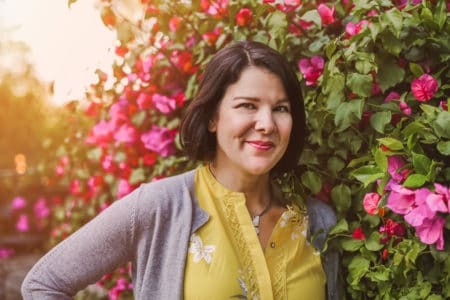 I think it’s my favorite time to visit (but then, it’s always a good time to go to Disneyland!) 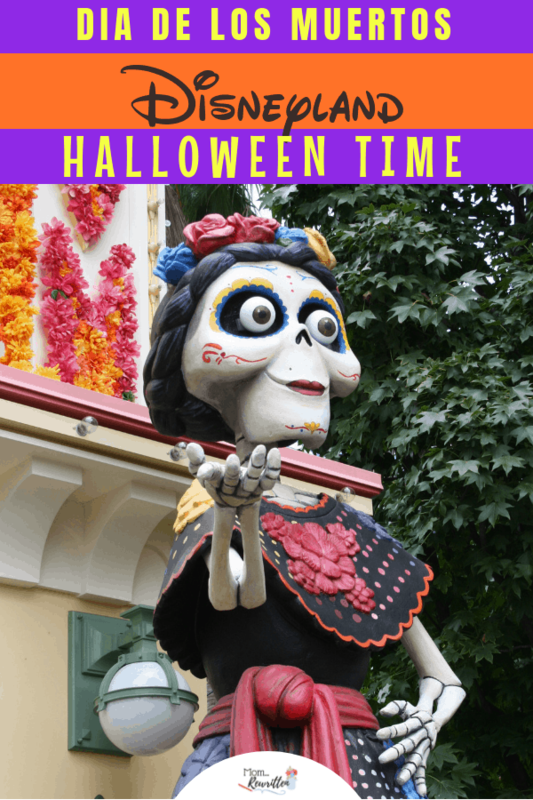 With Halloween, Dia de Los Muertos events, amazing Autumn-themed decor and special tricks and treats, celebrating Halloween at Disneyland is wonderful. 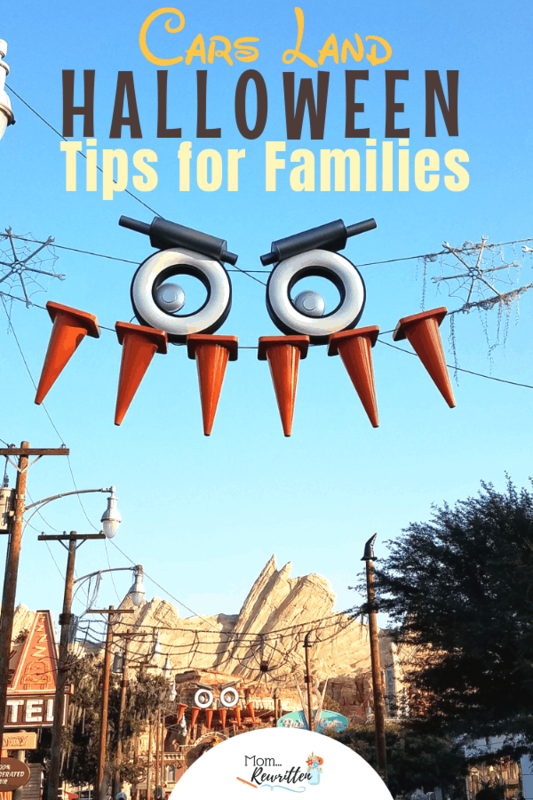 Here’s what to do when visiting Disneyland at Halloween Time! 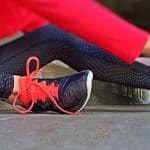 Please note that I use affiliate links in my posts. Clicking through and purchasing helps me in a small financial way, thank you! Fall decorations generally start showing up in early September at the Disneyland parks and they come down promptly on November 1st (when they are quickly replaced with Christmas decor). 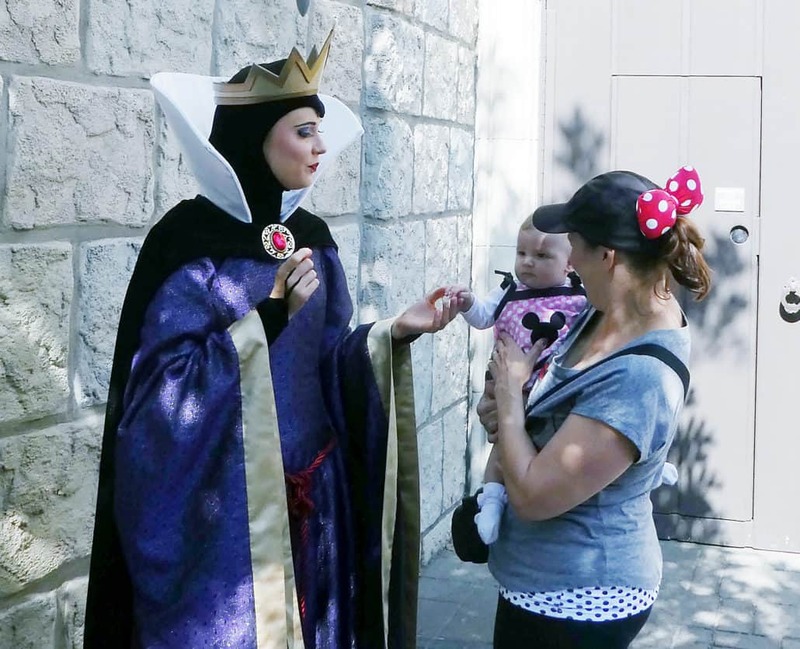 Can you dress in a costume at Disneyland? Yes, and no. 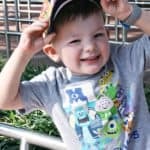 Children 12 and under can dress up in costume anytime inside the Disneyland parks. However adults may only wear costumes when attending Mickey’s Halloween Party. And of course there are guidelines to what costumes can be worn, so be sure to check the Disneyland official website. 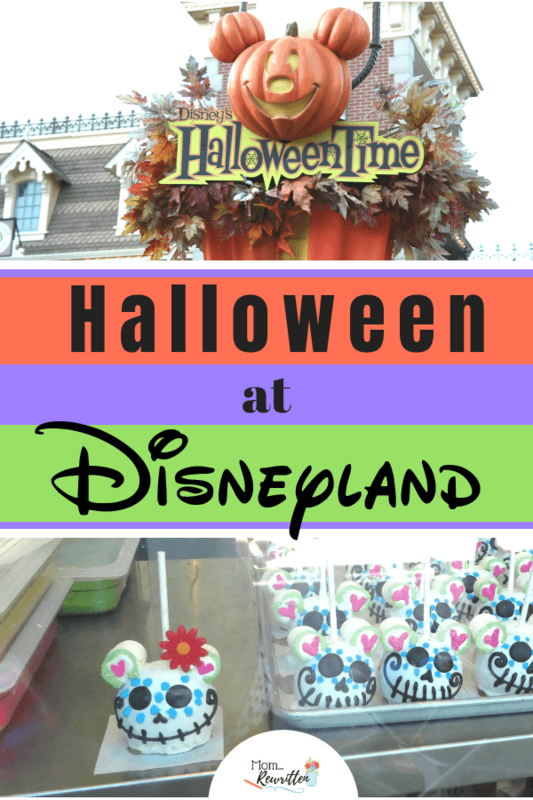 What’s the difference between Halloween Time at Disneyland and Mickey’s Halloween Party? 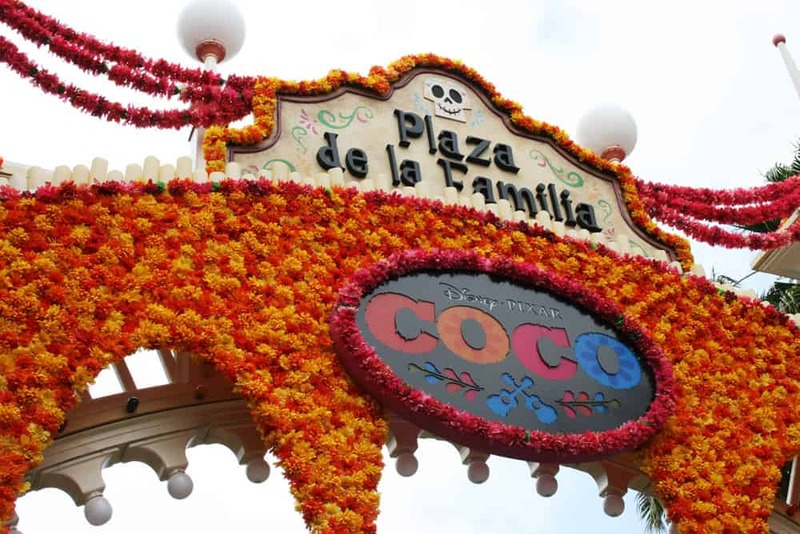 Halloween Time refers to the season when fall decor is up in the parks, when Halloween-themed ride overlays are operating and when special events like A Musical Celebration of Coco take place inside the parks. All of these festivities are included with your regular park ticket. 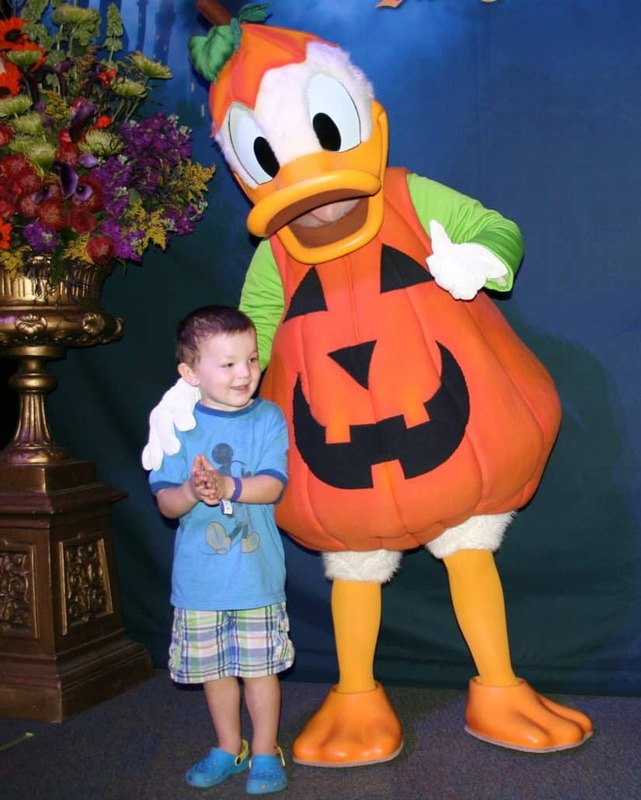 Mickey’s Halloween Party is a special ticketed event that happens on select nights during the fall season. There is trick-or-treating, special character greetings, an exclusive fireworks show and parade during the party. Only guests with this special event ticket may attend the party. 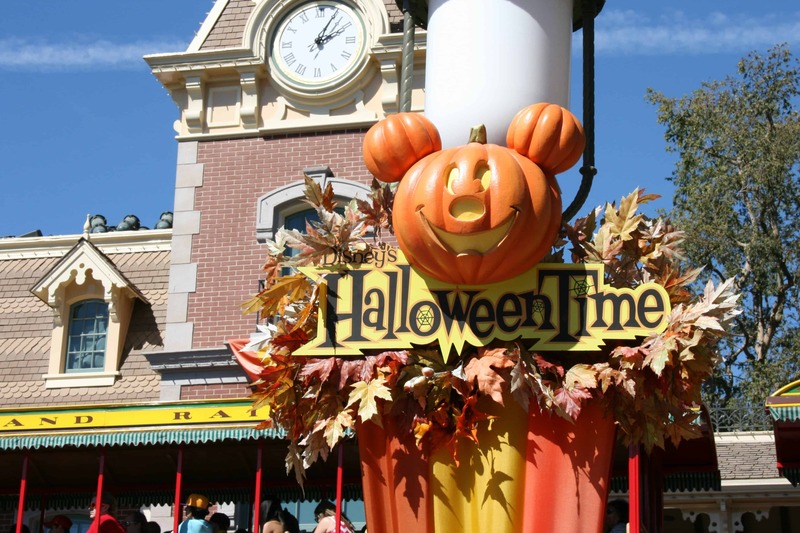 Note that the Disneyland park hours are shorter on the nights when Mickey’s Halloween Party takes place. Guests who do not hold the extra Mickey’s Halloween Party ticket will have to leave the park. But if your regular park ticket is a Park Hopper, you may move over the Disney’s California Adventure park for the remainder of the evening! On designated days in September and October (including Halloween night!) 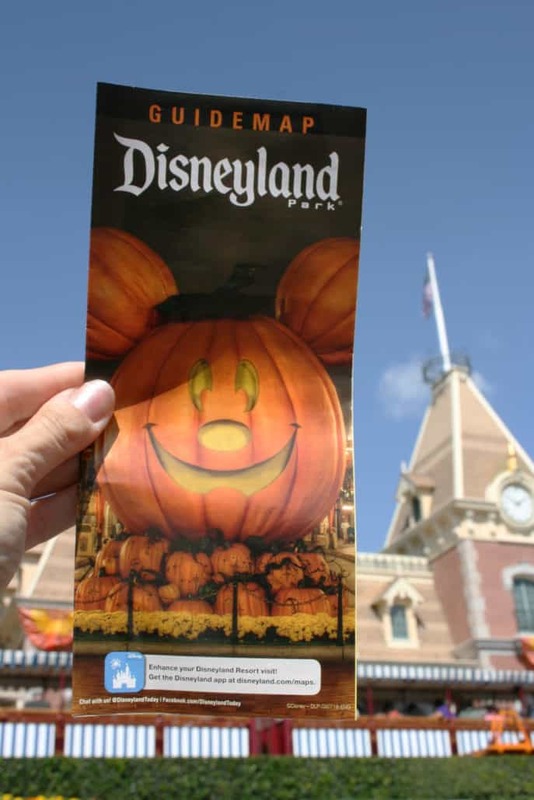 Disneyland sells party tickets to an exclusive Halloween party event called Mickey’s Halloween Party. 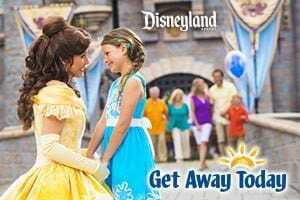 The cost is slightly less than a regular day ticket and the party lasts five hours but you can get into the park three hours earlier, so that’s eight hours of Disneyland fun. 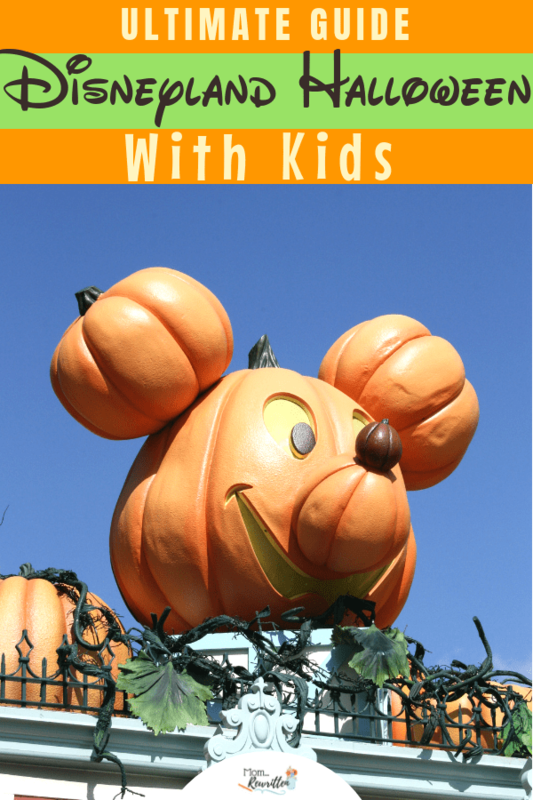 Adults and kids can dress in costume and trick or treat throughout the park. There are also dance parties and lots of character photo ops. There’s a special “Halloween Screams” fireworks show and “Frightfully Fun Parade” in addition to enjoying almost all the regular attractions. 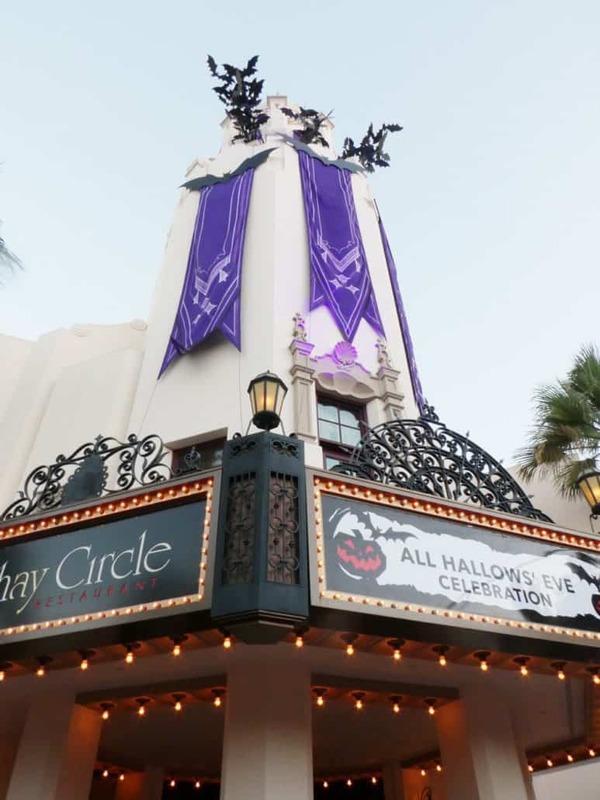 Guests can visit both Disneyland Park and Disney California Adventure Park with special event ticket during Mickey’s Halloween Party. 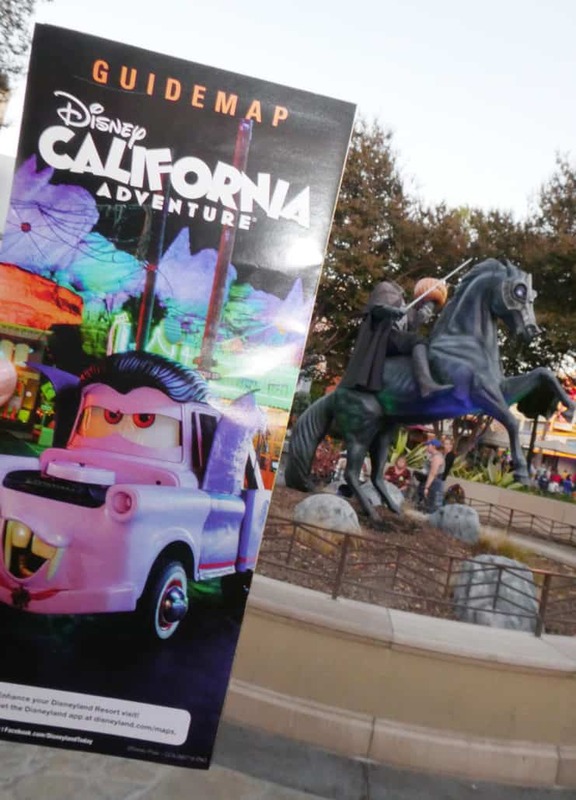 Guests will be able to visit Disney California Adventure as well as Disneyland during the three hours prior to the beginning of the party in Disneyland. 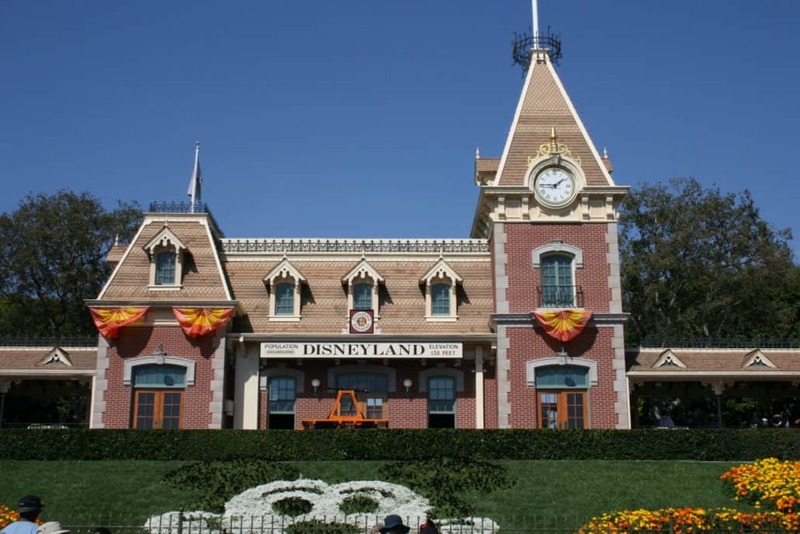 However the official party activities all take place at Disneyland park, so guests attending the party will want to move to that park early. This event sells out pretty quickly so get your tickets and start planning out your costumes. NEED DISNEY HALLOWEEN COSTUME IDEAS? The weather is almost always still very warm in SoCal during the fall months. 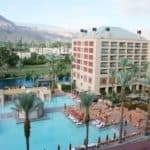 It doesn’t give you much of the “autumn” feel but it’s great for enjoying the park and you can swim in the resort pools without the summer crowds. On one day of my visit it drizzled most of the day and a few days later, temperatures were back up to 90! You just never know, so check the weather forecast pre-trip. The temperature usually drops in the evenings, so definitely bring a light sweater or jacket just in case. In the past, crowds were usually a little bit smaller in fall than in the summer. 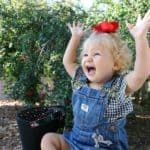 This trend isn’t always true however because fall weekends can be jam-packed. Annual pass holders that were blocked out all summer will be returning to the Parks and this brings in plenty of crowds. Even week days can be extremely busy. I recently visited on a Wednesday as well as over a weekend. The Wednesday was just as busy as the Saturday (45-120 minute waits for popular attractions). Crowds were slightly less packed on Sunday. You may experience lighter crowds on the days of Mickey’s Halloween Party. But take note that the operating hours are shorter to compensate. 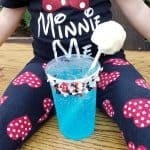 So while you won’t wait in astronomical lines for the most part, you also won’t be spending as much time in the park as you might in the summer. There also may be some ride closures so check the Disney Parks schedule before you go. Don’t have anything autumnal to wear on your Disney vacation? No worries because the souvenir shops at the Disneyland Resort are filled with a huge variety of Halloween and fall-themed items to clothe you top to bottom. 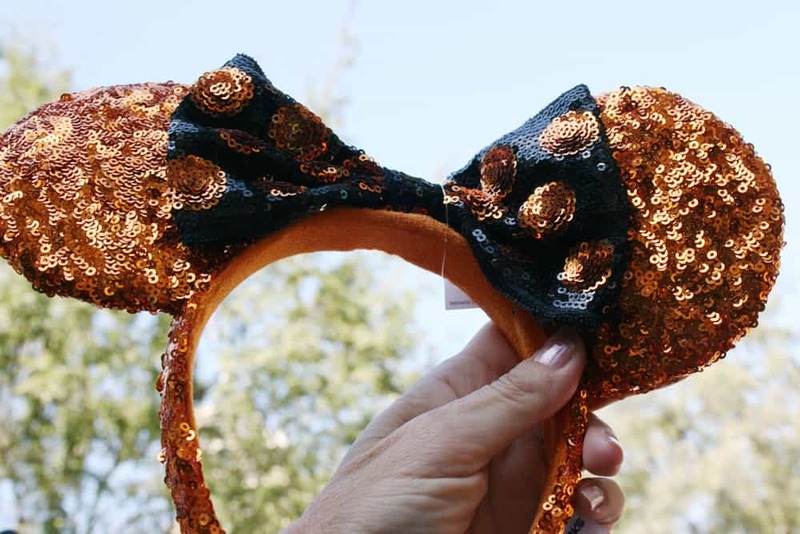 From sequined Mouse Ear headbands, tees and sweatshirts, hats and necklaces that glow, you can bedeck yourself with Disney Halloween goodness! In addition to the Halloween clothing options at Disneyland, you’ll also find Halloween-themed plush, coffee mugs and home goods, all with a Disney twist, of course! 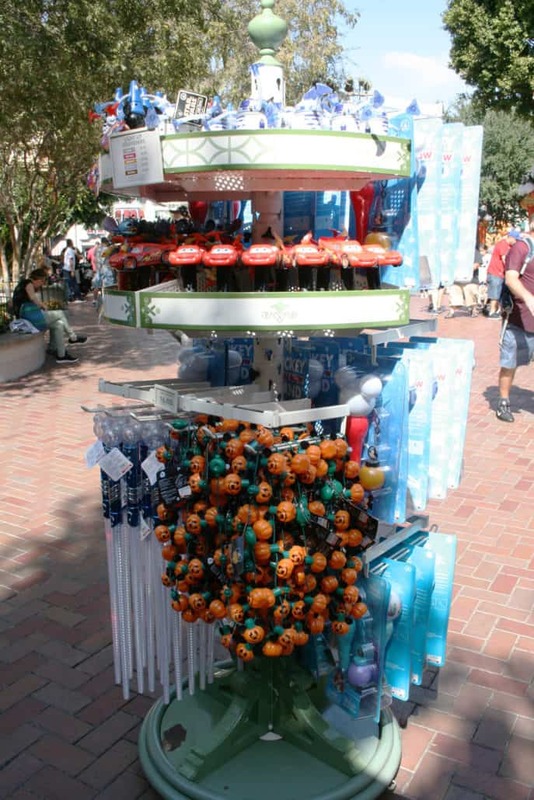 I saw a large variety of Nightmare Before Christmas items featuring Jack Skellington and Sally available in both parks. Even if you don’t shop inside the parks themselves, you’ll still find some items in a kiosk in the esplanade, inside World of Disney (or the other shops) at Downtown Disney District and even in the gift shops at the Disneyland Resort hotels. 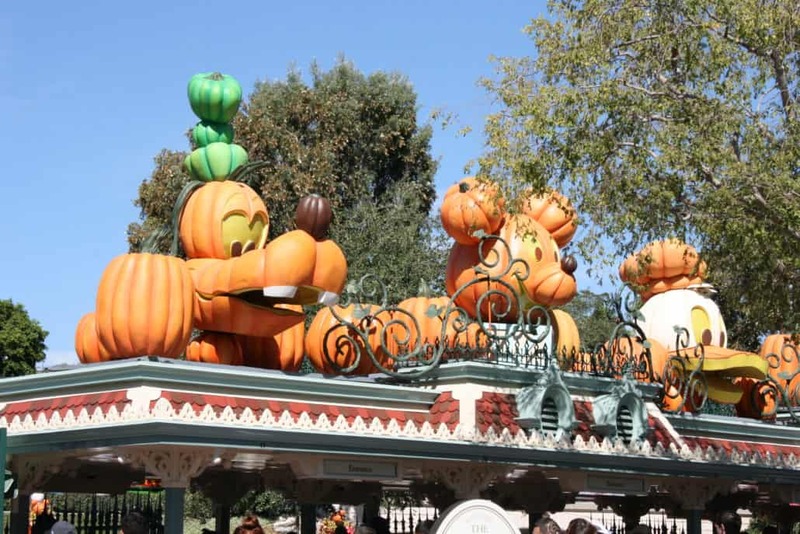 The Disneyland decorations for fall are fantastic! Disney is known for their detail, of course. All over the park you will find decor to put you in the seasonal mood (even if the warm weather tells you otherwise!). There will be lots of places for photo ops, including a Pumpkin Festival on Main Street. Don’t miss taking your photo in front of the enormous Mickey jack o’ lantern. And take time to admire the hundreds of one-of-a-kind hand carved pumpkins lining the street. 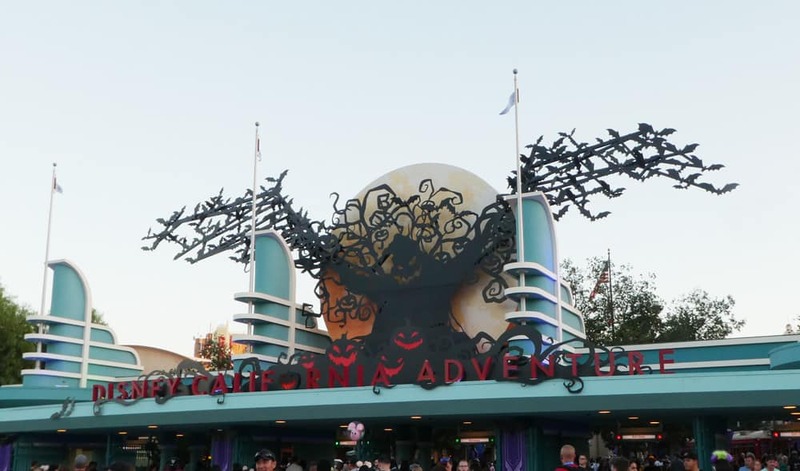 Oogie Boogie’s over-sized silhouette beckons guests through the main entrance of the Disney California Adventure park. Headless Horseman statue offers a menacing presence on Buena Vista Street that’s simply spine-chilling. 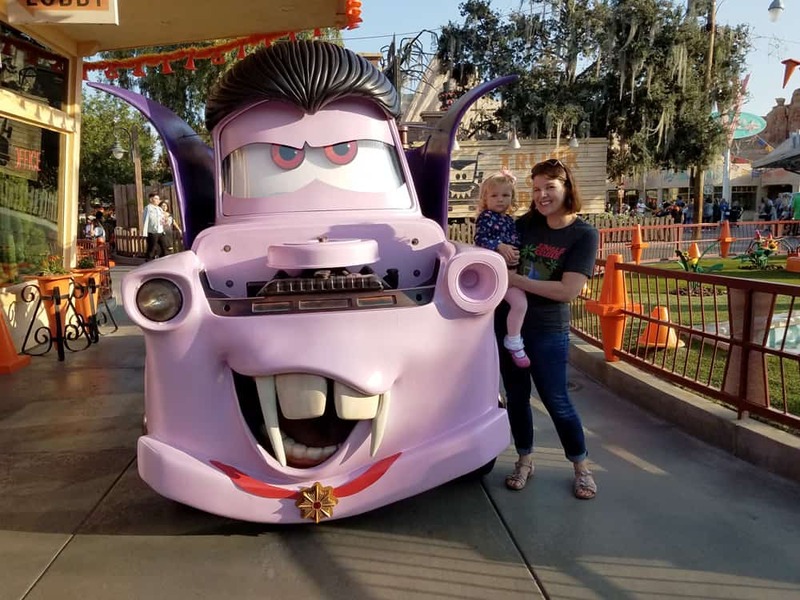 Haul-O-Ween hits Cars Land and turns Radiator Springs into Radiator Screams! Scary the Scarecar will stand guard over the entrance to Route 66, a preview to the Haul-O-Ween transformation awaiting guests in Cars Land. With Fillmore’s Jack-Oil Lanterns, the web spun over Flo’s by a Spider-Car, and the Cozy Cone dressed up in car-stumes. 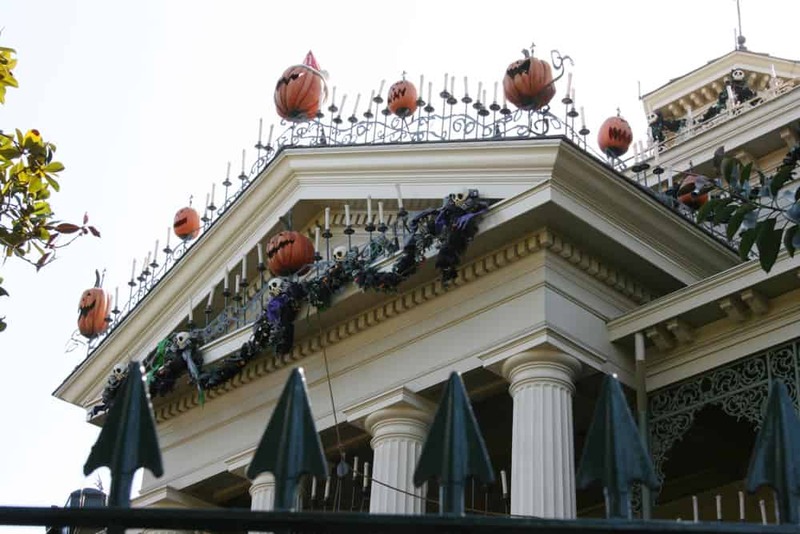 The “Nightmare Before Christmas” themed Haunted Mansion Holiday is a can’t miss! It gets more elaborate year after year. 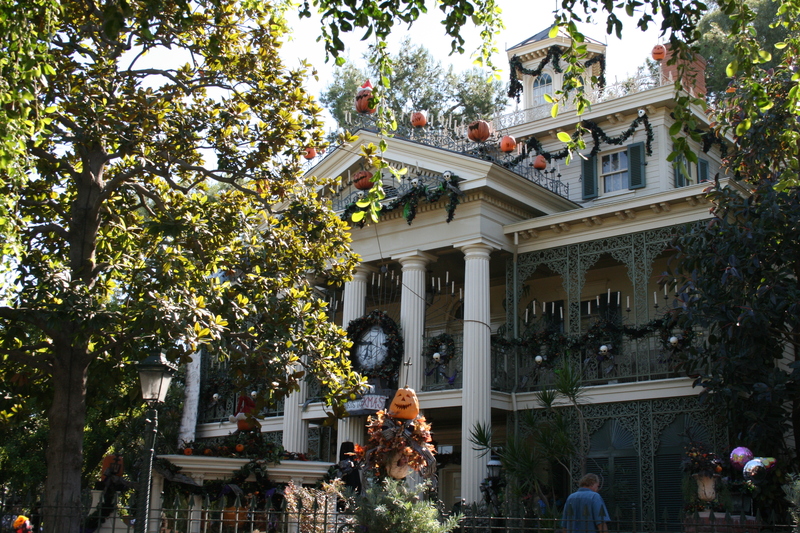 Haunted Mansion Holiday is also a completely different experience from the usual Haunted Mansion attraction. 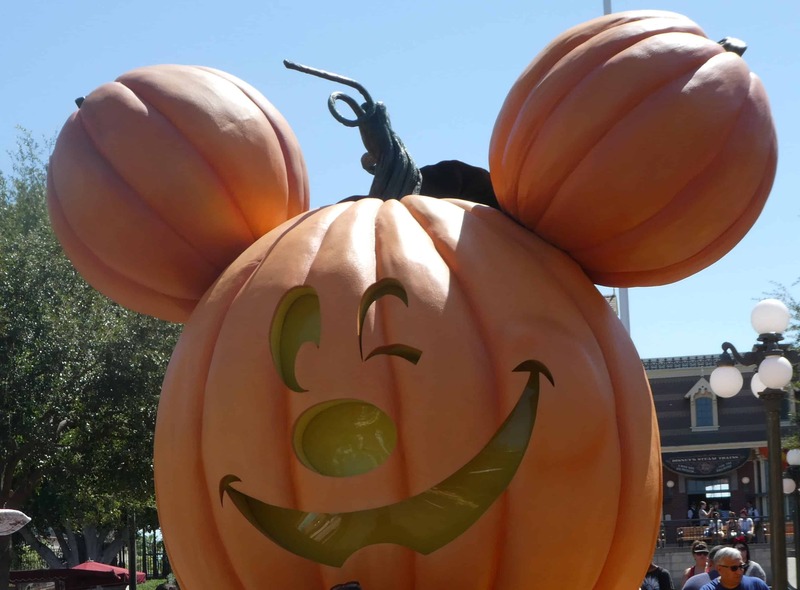 There is also a tour (additional cost) that celebrates the spooky, Disney’s Happiest Haunts Tour. 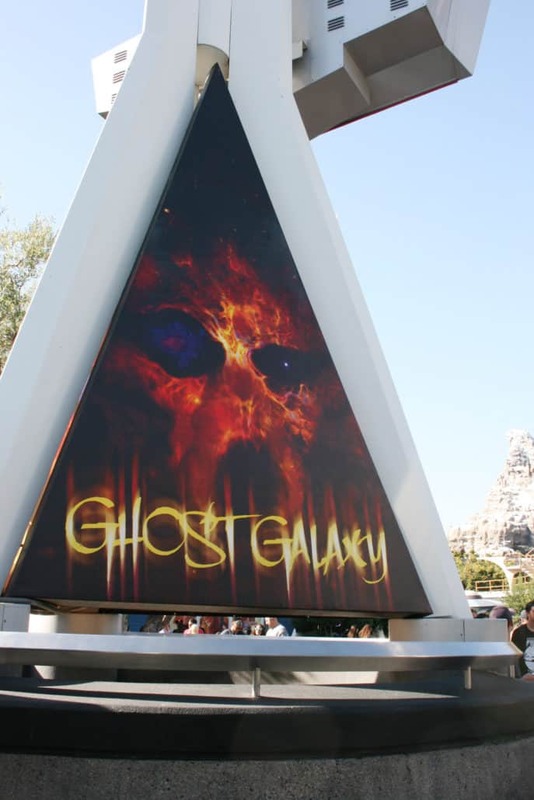 Space Mountain Ghost Galaxy takes over Space Mountain at Disneyland in fall. I finally had the chance to ride it this year and it’s fantastic! Just the right amount of spooky and the ride seemed darker and faster than usual. If you’re traveling with adults or older kids, consider the “Single Rider” line option. There’s signage at the exit of this ride and I was able to ride alone with a wait time of about 3 minutes, versus the 60+ minute wait that was posted for the regular queue. In Cars Land, the entire area is made over in a fantastic Halloween theme! Radiator Springs becomes Radiator Screams for the “Haul-O-Ween” season, with the mountain range lit up at night in purple and green. Luigi’s Rollickin’ Roadsters and Mater’s Junkyard Jamboree are also both be decorated for Halloween with themed music and décor! These attractions will transform with Mater’s Junkyard Jamboree turning spooky as the Graveyard JamBOOree, and Luigi’s Rollickin’ Roadsters to become Luigi’s Honkin’ Haul-O-Ween. The annual Haunted Mansion Holiday gingerbread house, presents a new design each year. This year it’s a 5-foot multi-color spider with an intricate “stained glass” design on its back. Ride Guardians of the Galaxy – Mission: BREAKOUT! 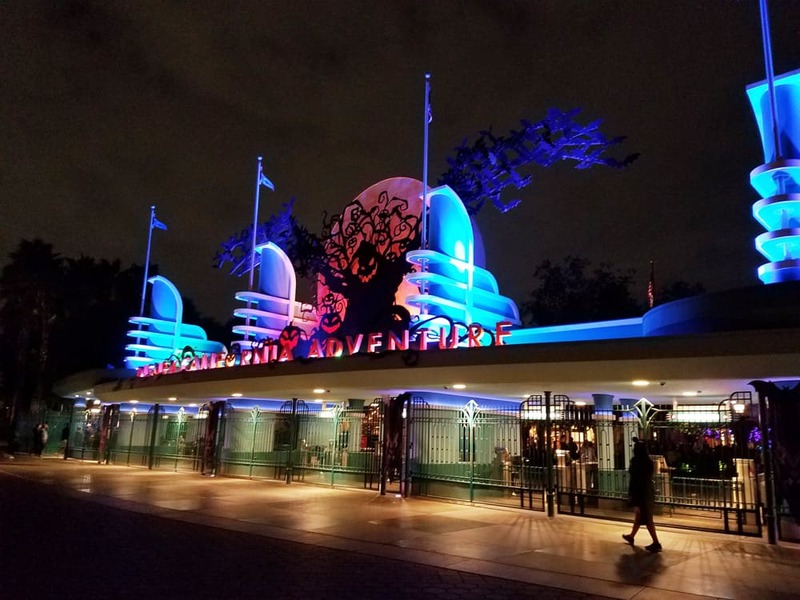 during the day, then return at dusk, when the attraction transforms into Guardians of the Galaxy – Monsters After Dark, the seasonal edition of popular attraction. 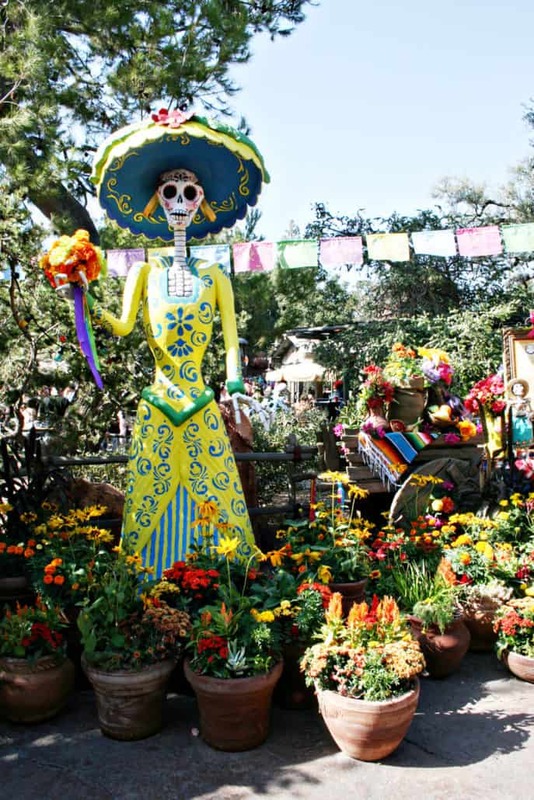 Disneyland offers its traditional Día de los Muertos display at Zócalo Park in Frontierland. 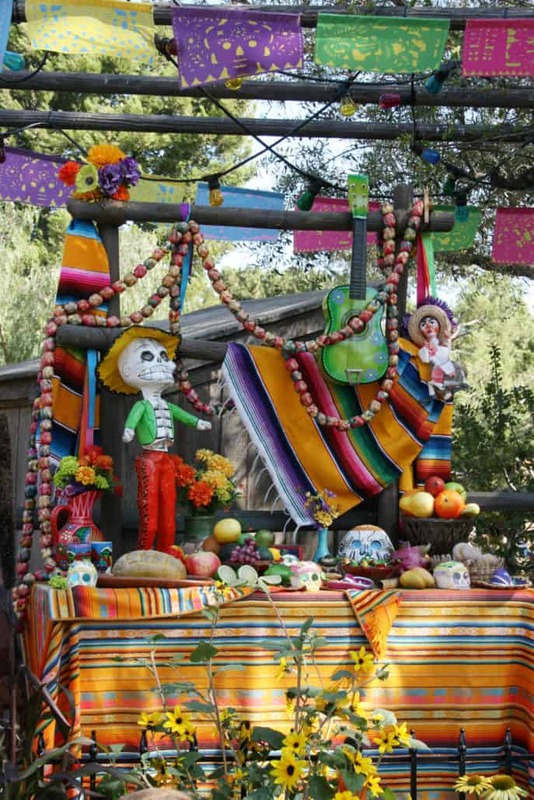 The colorful display features marigolds and paper flags, along with a traditional “ofrenda” and sugar skulls. Make time in your Disneyland vacation planning for a visit to Plaza de la Familia in Disney California Adventure park. 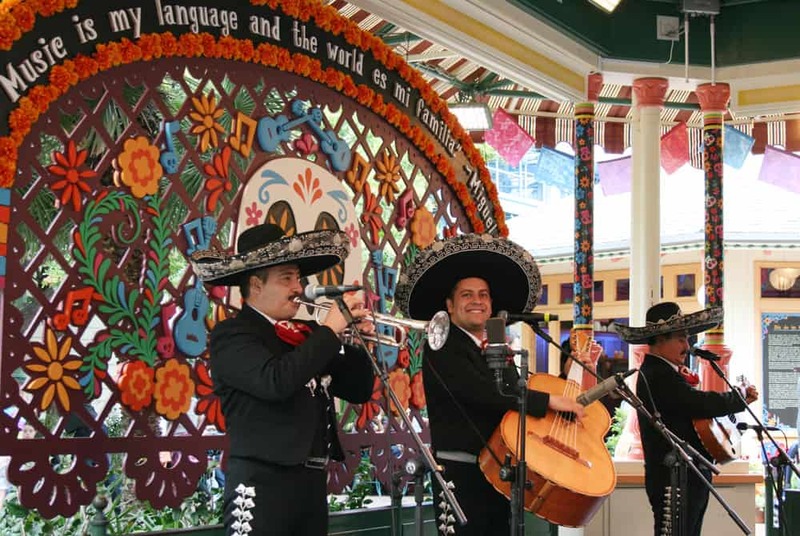 This immersive celebration of Dia de Los Muertos includes folklórico dancers, mariachi music and a craft area inspired by the “Coco” film. 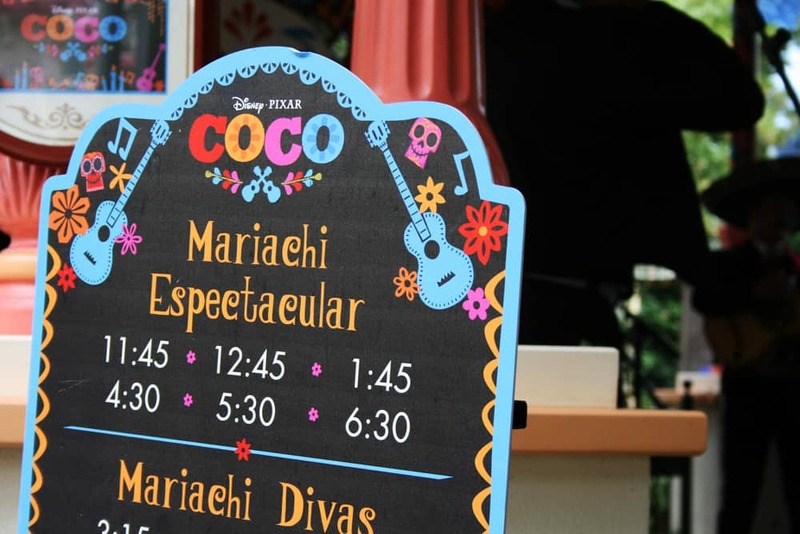 Do not miss A Musical Celebration of Coco, when Miguel from the movie dances and plays his guitar. This show takes place several times a day, so check your Times Guide. 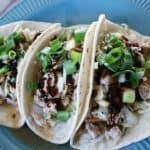 From September 7 through November 4 2018, Paradise Garden Grill will feature traditional Mexican dishes including chicken tamales steamed in banana leaves, sirloin beef tacos with pickled vegetables, and conchita, a traditional Mexican sweet bread. Layers of sponge cake with cinnamon “churro” mousse and sweet cream cheese frosting – This version comes with a decorative topping in the shape of Miguel from “Coco”! One of the best things about Halloween at Disneyland is how the characters dress in costume! It really makes that meet & greet extra special when the characters are wearing fun outfits. Mickey Mouse, Minnie Mouse, Donald Duck, Goofy and Pluto wear their Halloween costumes along Buena Vista Street at Disney California Adventure. The very popular Jack Skellington and Sally appear in New Orleans Square near the Haunted Mansion. You can also find many Disney villains throughout the park during the Halloween Time season. Disney Junior star Vampirina will greet guests and take photos with them in Disney California Adventure Park. I had the opportunity to stay at both the Disneyland Hotel and the Paradise Pier Hotel during the 2018 Halloween Time season. 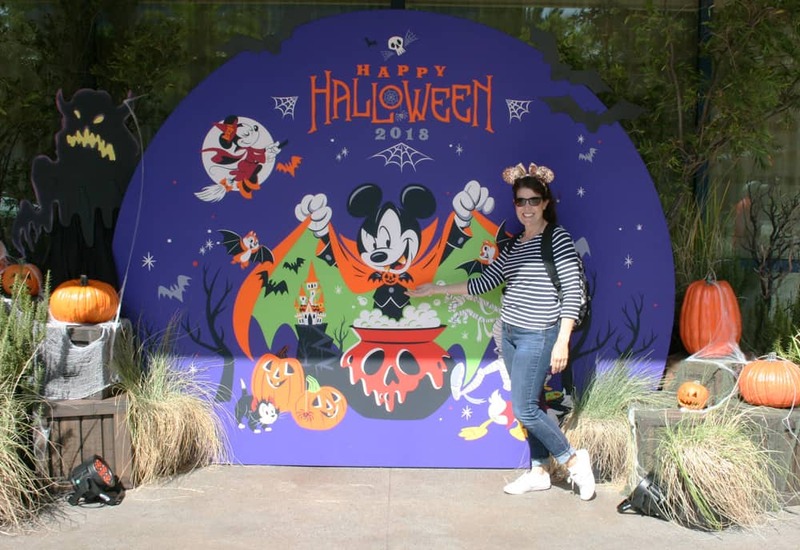 We also walked through Disney’s Grand Californian to check out their Halloween decor. You do not need to be a hotel guest to explore inside the lobbies! Inside the front entrance of the Disneyland Hotel was a photo backdrop, with another just in front of the pool. Halloween photo-op at the Disneyland Hotel, near the pool entrance. 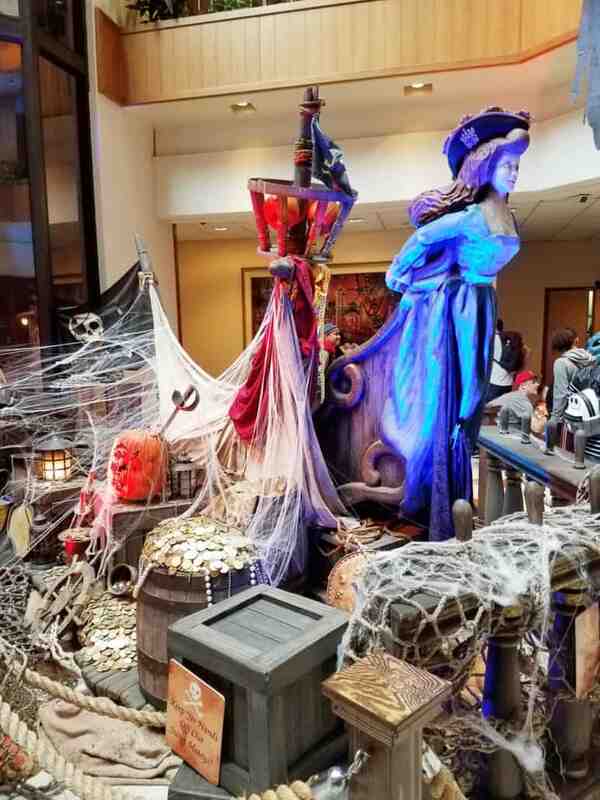 All common areas at the Paradise Pier Hotel have been made over in an elaborate pirate theme (“Pirate’s Pier”). There are tons of photo ops at every corner! And inside the lobby of Disney’s Grand Californian, you can’t miss the huge gingerbread decor. The smell of ginger and royal icing is strong! In addition to the return of popular Halloween Time foods like pumpkin spice beignets, the Disneyland Resort chefs have come up with a spooky number of delightful dishes to please every palate this fall! There are tons of new treats and an inspiring number of different varieties of churros this year. 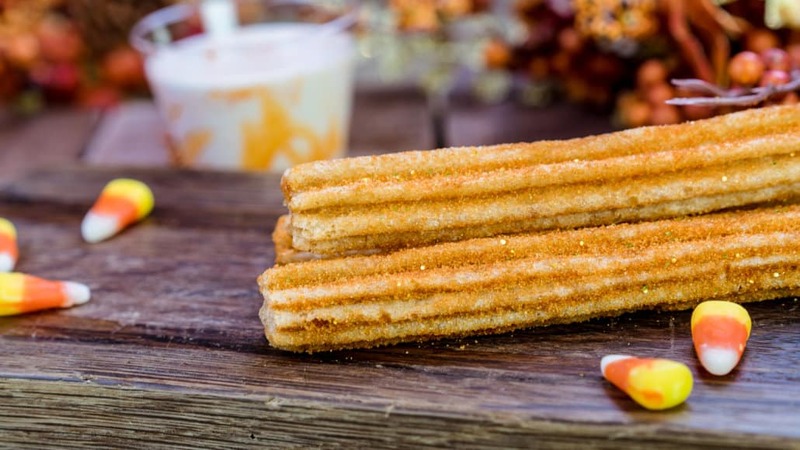 I’m personally excited to try the Maleficent churro covered with chocolate cookie crumbles with marshmallow dip option (located near Town Square & Sleeping Beauty Castle), the pumpkin spice churro with cream cheese frosting (found near Haunted Mansion) and the s’mores churro with graham cracker, chocolate chips and a marshmallow drizzle (buy it near the Redwood Creek Challenge Trail). 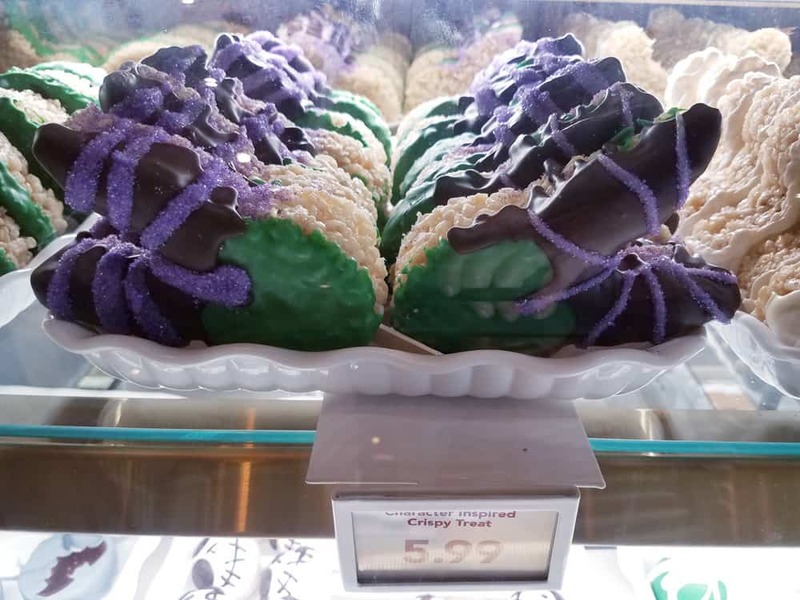 Other sweet Halloween treats include, Frozen Abuelita horchata from Rancho del Zocalo, Sweet potato hand pie from Jolly Holiday Bakery or the Sleepy Hollow cupcake (red velvet cupcake with Headless Horseman chocolate piece) at Fiddler, Fifer & Practical Café. 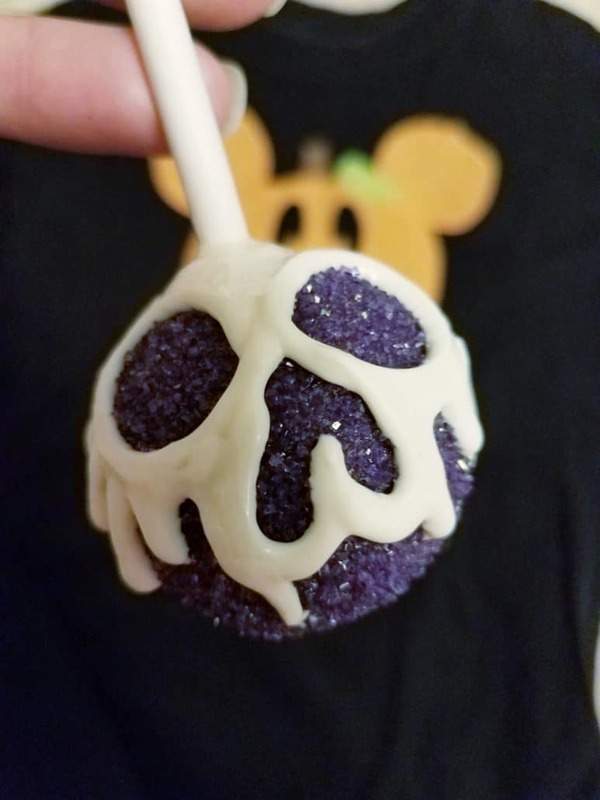 Only 40 of these purple-colored Poison Apple Cake Pops are made each day, so be on the watch for these limited treats! Lest you think it’s all about the desserts, there are options for savory, Autumn-inspired main dishes as well. Those include the Crab and corn chowder at Café Orleans, Haunted Firehouse Chicken Sandwich at Carnation Café and Oktoberfest dog (kielbasa sausage topped with caramelized onions, sauerkraut, Oktoberfest beer cheese with green onions) from Award Weiners. Skip the lines at select dining locations by using the new mobile ordering feature on the Disneyland app. I used it several times on my visit (for lunch as well as to get an ice cream cone!) and it truly saved me at least 45 minutes that would have been spent waiting in line to order. Dress to impress in your retro best on Dapper Day in the Disneyland park. Thousands of other guests turn out for this event, “dappered” up in their Sunday attire. The date is Nov 4th, 2018 for the annual Disneyland Dapper Day. READ MORE: Dapper Day Outfit Ideas to Step Out in Style! READ MORE: Learn about Disneyland’s Halloween Time from a first time visitor’s perspective by my friend Jill at Ripped Jeans & Bifocals.